"Z" Wedding – It Works For Bobbi! 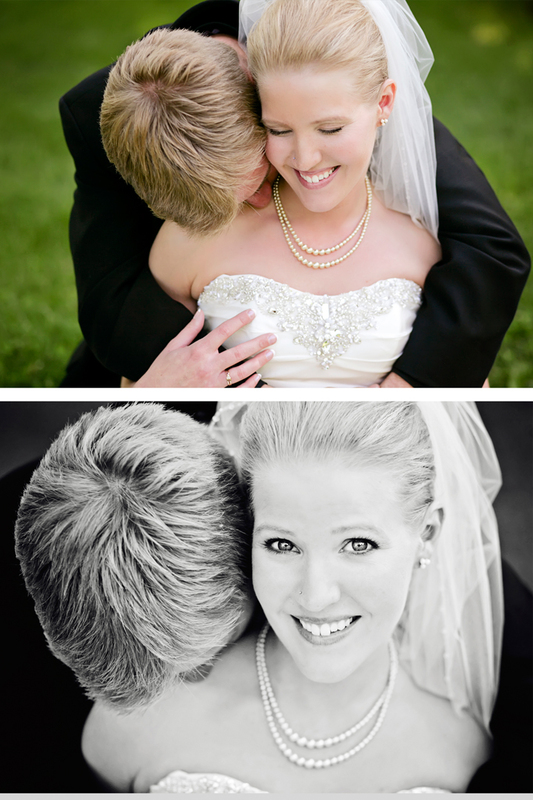 Published on August 2, 2011 August 9, 2016 by Bobbi-Jo G.
My nephew, “B”, was recently wed to his high school sweetheart and I was lucky enough to photograph the beautiful event! I can’t wait to share these with you 🙂 It was so hard to share just a few, but I pared them down a bit – still, be prepared for a bit of photo overload! 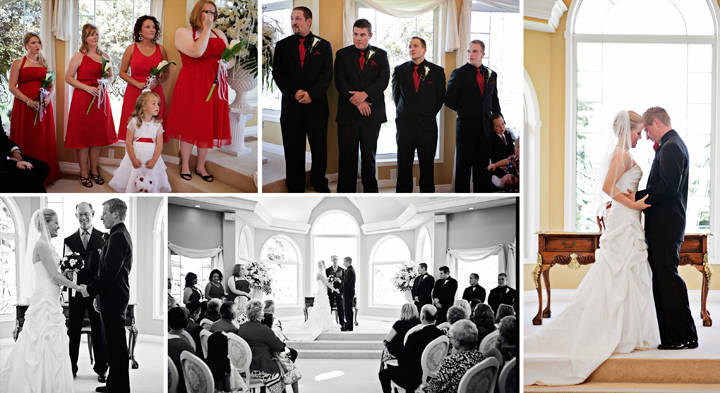 There was a good amount of excitement and anticipation before the ceremony began. This was my first time being able to photograph in the bridal room! LOVED IT! The ceremony was lovely. It was nice to be there to share their special day! 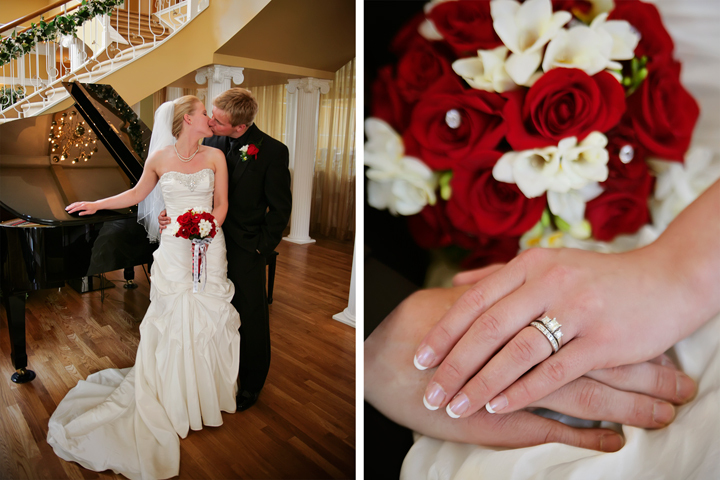 They were married in a place called “The Wedding Pavillion”..it was quite beautiful! 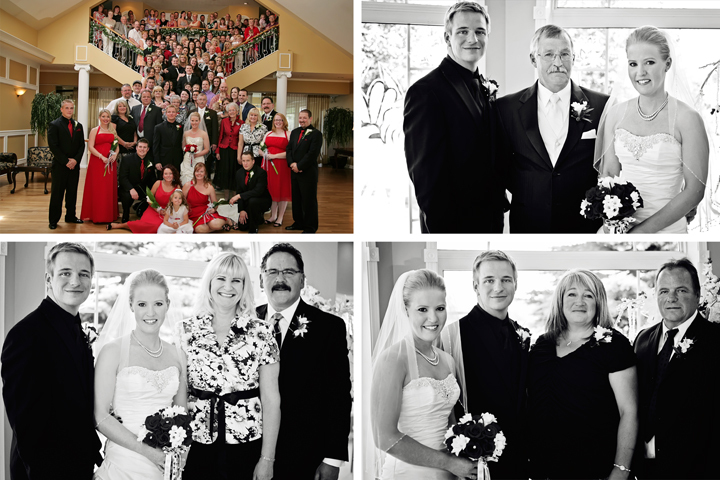 The happy couple was surrounded by family and friends who love them and were there to support them. 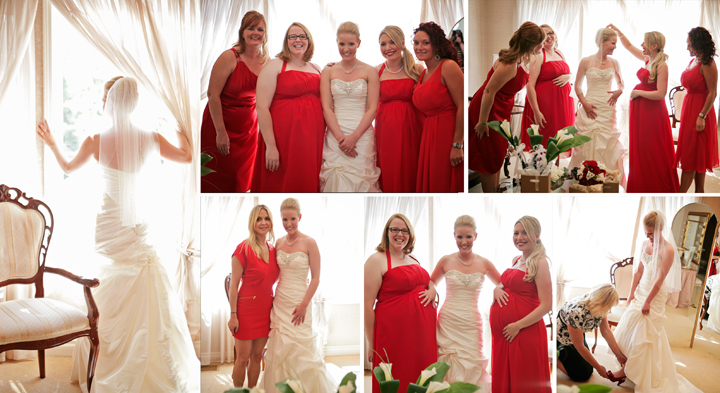 This bridal party was just that… a PARTY! They were so fun, and even though two of the bride’s maids were preggers, they were still up for having some fun. And what a good-looking group of guys, too! But the big day was about my nephew and his bride. They make a gorgeous couple and it wasn’t difficult to see how in love they are! 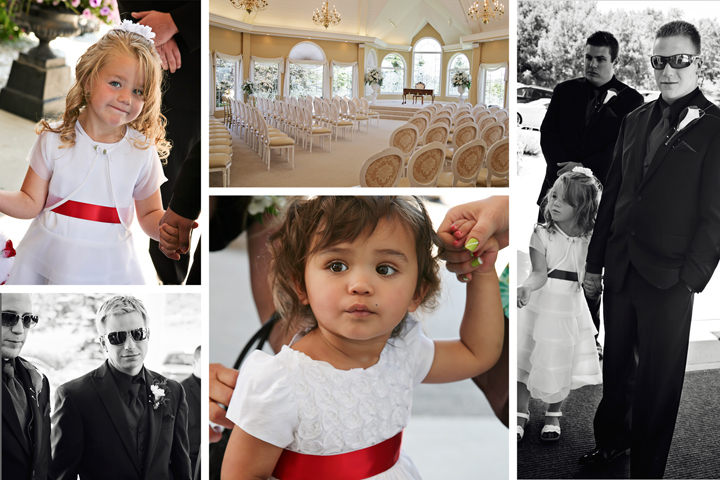 So, I have photographed the weddings of 4 of my nieces and nephews and there are dozens more weddings to come! 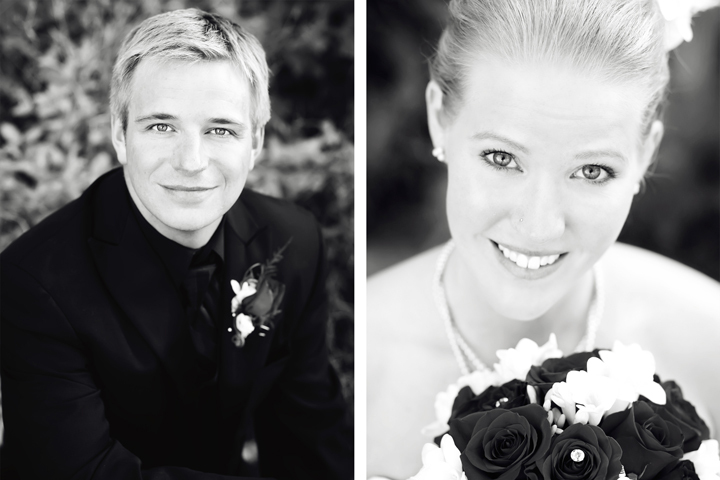 I feel so grateful that they want me to be the one to capture their special day. Thanks, guys! A friend of mine was married at that same venue, it really is a lovely space. 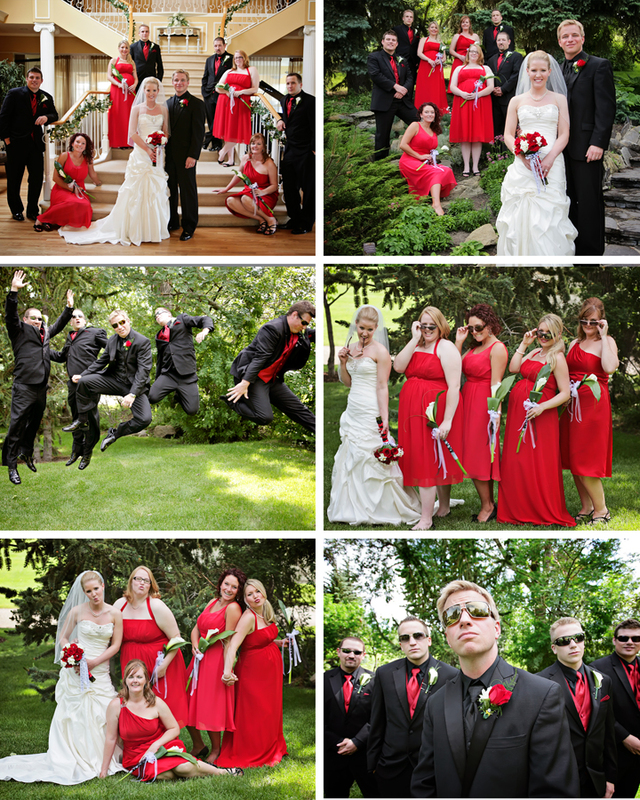 Great shots of the bridal party, they look like a fun bunch! Great photos. I love the red! I LOVE love love your group shots. I have to say it's one thing I have a terrible time with. 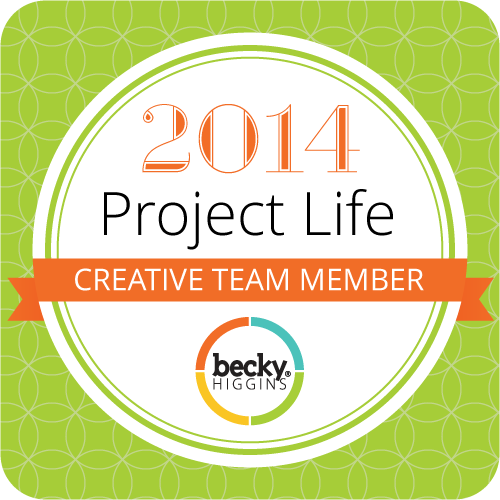 I would love if you would do a everything-I-know-about-photographing-groups post. 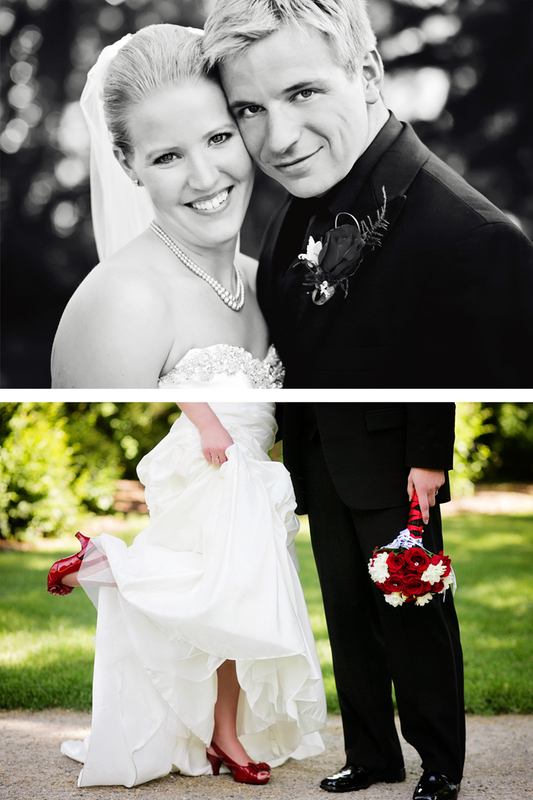 Your wedding photos came out gorgeous !I love the photo of the bride showing off her red shoes, the photo of the bride looking out the window and the fun shots! heck, I love them all. As always you take wonderful photos. 🙂 Thanks so much for shating them.